The must-see electronica craftsman takes over the Town Hall. 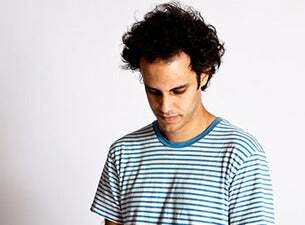 Prolific and immensely talented DJ and producer Four Tet, also known as Kieran Hebden, has set the standard for electronic music for more than 20 years now and shows no signs of slowing down. His intelligent, progressive brand of electronica has seen him hailed as “one of the 21st-century’s finest electronic musicians” (Pitchfork), thrust into exciting collaborations with the likes of Skrillex and Rihanna, and touring the world in constant demand at the biggest music festivals and club rooms. Now it’s our turn. Conjuring soulful, organic beats that slide effortlessly between cosmic jazz, deep house, moody techno, innovative hip-hop, and big bass bangers, Four Tet is a master of his craft, and of the stage, too, where his hypnotic DJ sets have become the stuff of legend. Join Hebden, one of the best in the business, as he commands the middle of the Town Hall with a free-flowing live set of truly ecstatic electronic music.